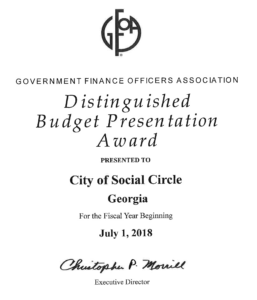 The City of Social Circle received the Distinguished Budget Presentation Awards Program from The Government Finance Officers Associate (GFOA) for their 2018-2019 budget document. This is the second year in a row that the City has been recognized for this award. 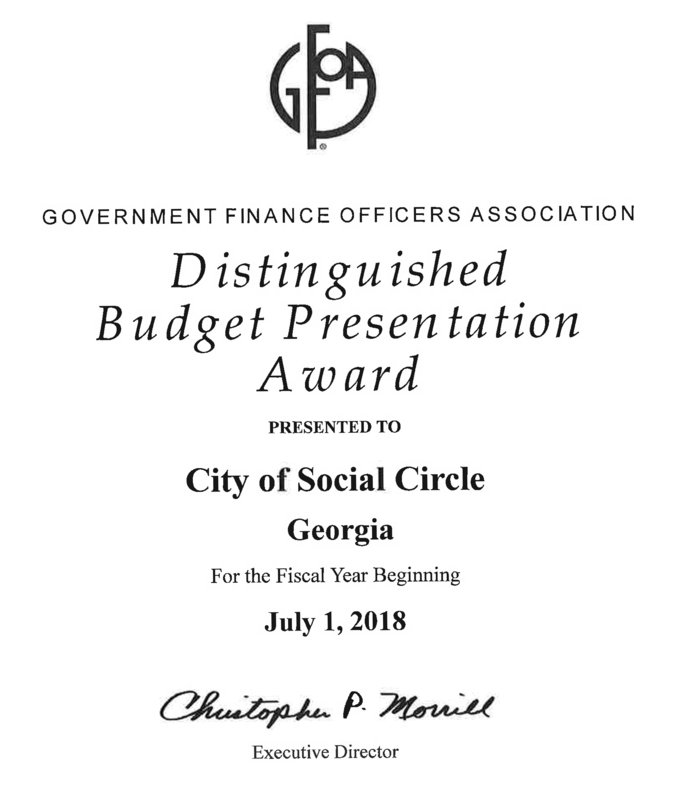 GFOA established the Distinguished Budget Presentation Awards Program (Budget Awards Program) in 1984 to encourage and assist state and local governments to prepare budget documents of the very highest quality that reflect both the guidelines established by the National Advisory Council on State and Local Budgeting and the GFOA’s best practices on budgeting and then to recognize individual governments that succeed in achieving that goal. Thank you to Jennifer Fricks, Finance Director, Jenny Watt, Marketing and Susan Roper, City Clerk for their work in creating our budget document.